Ariel Palmieri and Karen Stein provide their clients with exceptional real estate experiences. They bring passion, enthusiasm and full-service to every transaction. A mother and daughter team in West Ventura County since 2005, they have consistently been the top producing partners in their office. The duo has also been voted the best team in Ventura County and they have been named among the top 10 teams throughout Coldwell Banker’s Greater Los Angeles Region. With a specialty in marketing luxury properties, Ariel and Karen represent waterfront homes in the coastal communities of Channel Islands Harbor, Hollywood Beach, Oxnard Shores and Ventura. They have also sold estates in Camarillo. 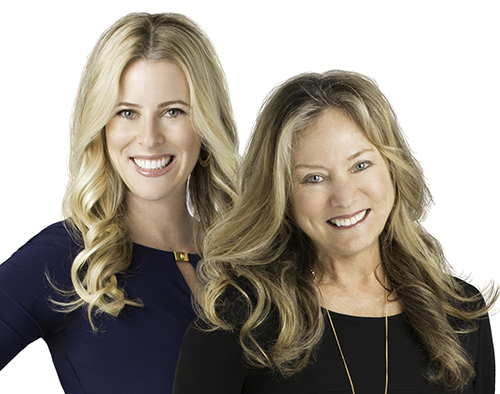 Ariel and Karen offer guidance through every step of the buying or selling process, and they have been recognized for their energy, patience and creative approach to facing challenges. Ariel and Karen are known among their colleagues for being ethical and consistently striving to help all parties to a transaction achieve their goals. Originally from New York, Karen, who holds degrees in both education and art, relocated to Southern California in the 1970s, and taught elementary school in Santa Clarita for more than 20 years. A native Californian, Ariel holds a degree in journalism, and her writing has appeared in local and national publications. Prior to entering the real estate arena, Ariel served clients from around the globe as the supervisor of a public relations agency specializing in the travel industry. As a mother and daughter team, the pair is equipped to represent clients in varying age and ownership brackets, with personal real estate experiences to help them empathize with those they assist. With ample contacts, the team is also called upon as a referral source to those new in the area, for everything from preschools and playgroups to physicians, charity and social club recommendations. Ariel and Karen believe in the children of the community, and their philanthropic efforts include annual sponsorship of the Children’s Center for Cancer and Blood Diseases at the Ventura County Medical Center.